The zip line by the Reversing Falls. 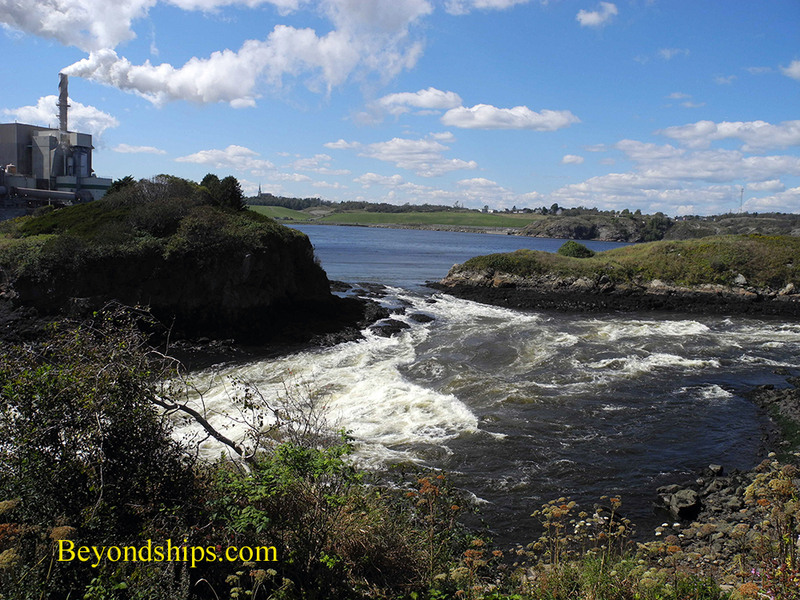 The most visited attraction in Saint John is the Reversing Rapids (more often called the "Reversing Falls.") (right). The St. John River flows into the Bay of Fundy. However, due to the powerful tides in the Bay, at high tide water is forced back up the river causing it to flow upstream. At low tide, the flow reverses. At a narrow point in the river, the combination of the shape of the gorge and an underwater ledge serve to create rapids which flow in one direction at various times during the day and in the opposite direction at other times. 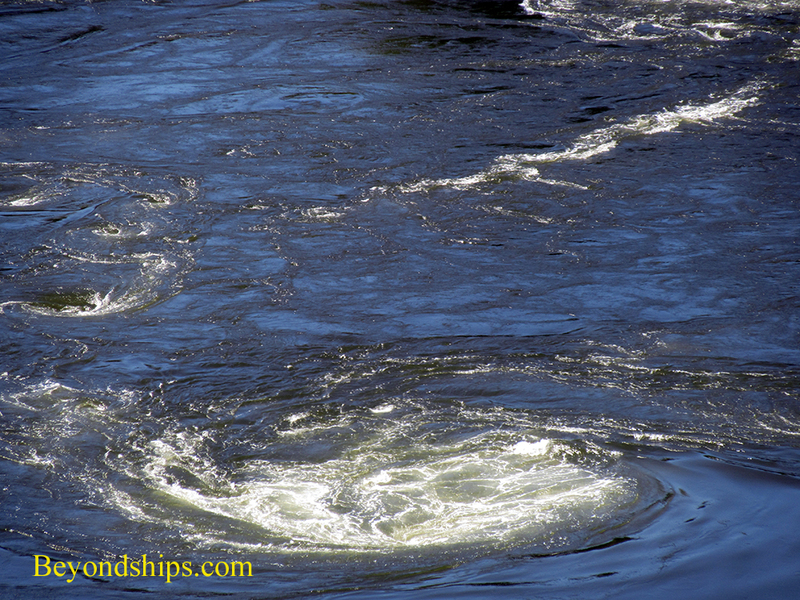 The Reversing Rapids is located outside of the city itself and thus most visitors take a tour bus or taxi to it. There are also tour boats that sail up the river. 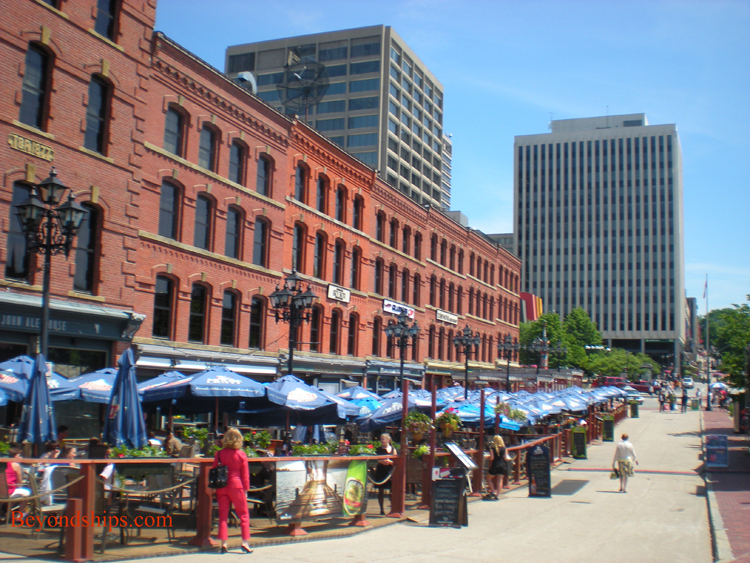 However, there is a well-lamdscaped walking path known as the Harbour Passage that will take you there. (See separate feature article) (See video). 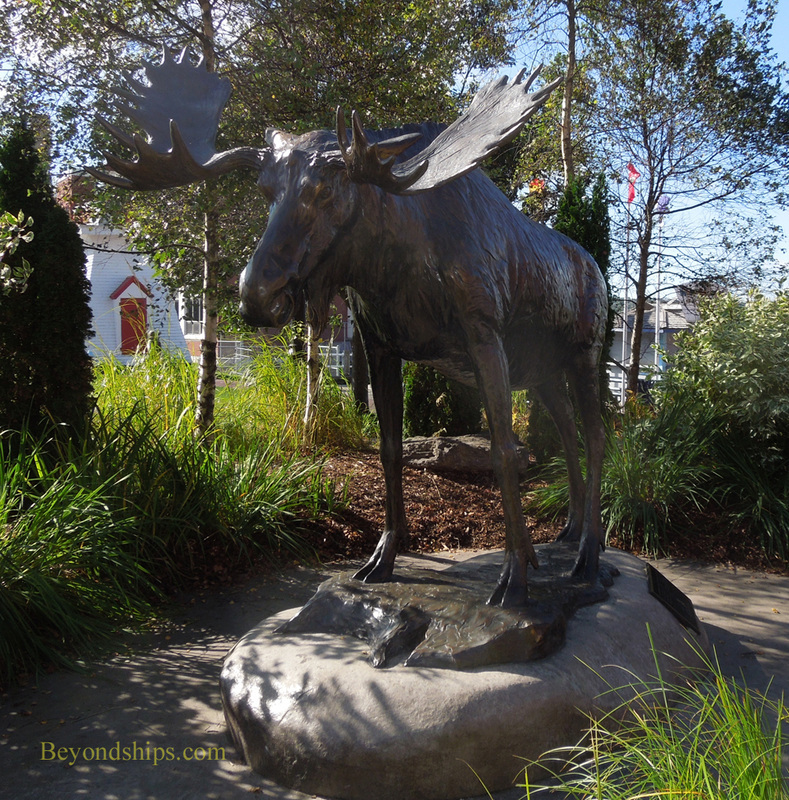 Just a short walk up Water Street from the cruise terminal is Loyalist Plaza. 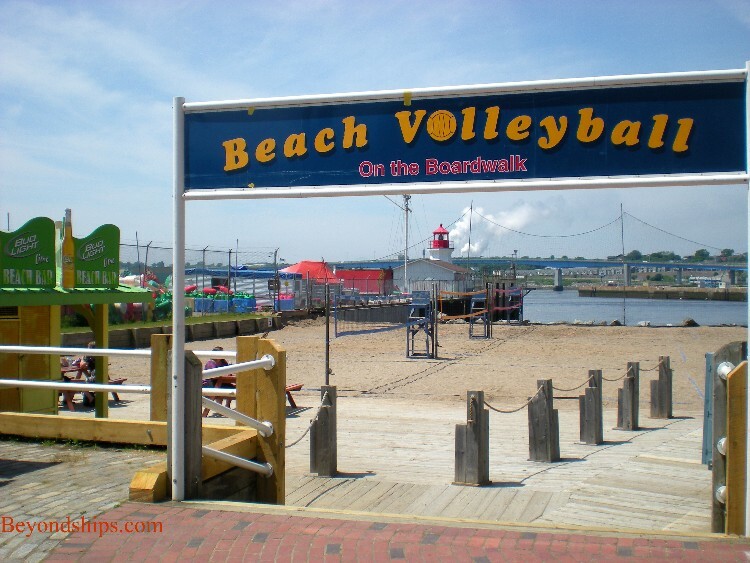 This is said to be the place where the modern city began as it is believed to be where the Loyalists fleeing from the American Revolution landed in 1783. 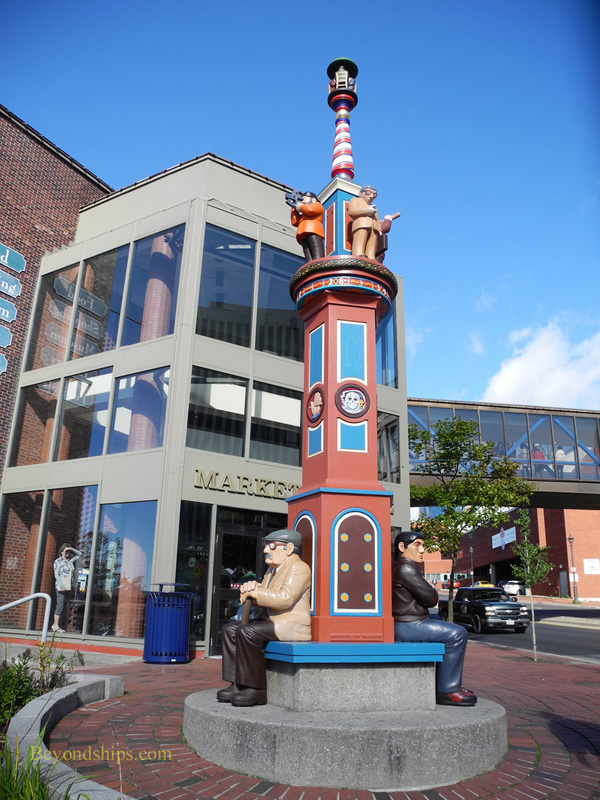 Today, the area has been revitalized and includes several attractions including the Barbour's General Store Museum, sculptures, market stalls and outdoor restaurants. 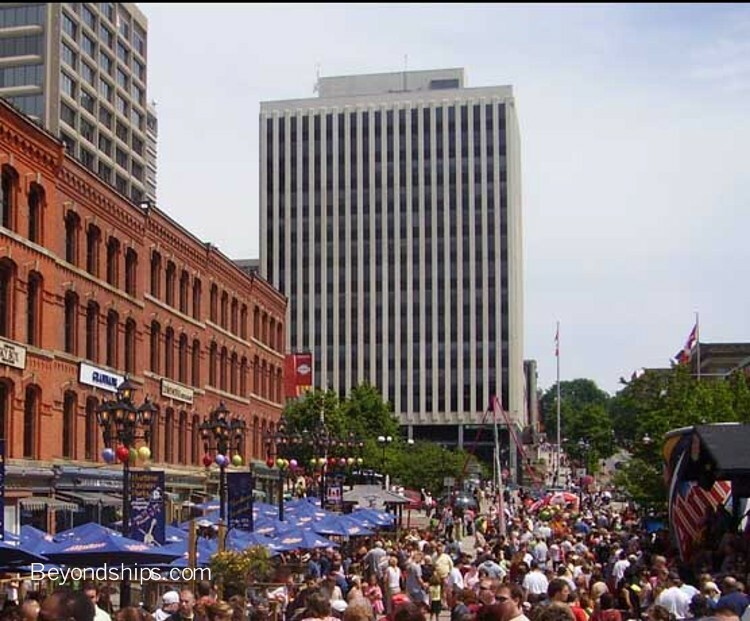 The area can go from quiet to quite lively on a festival day or a day when there is more than one cruise ship calling. 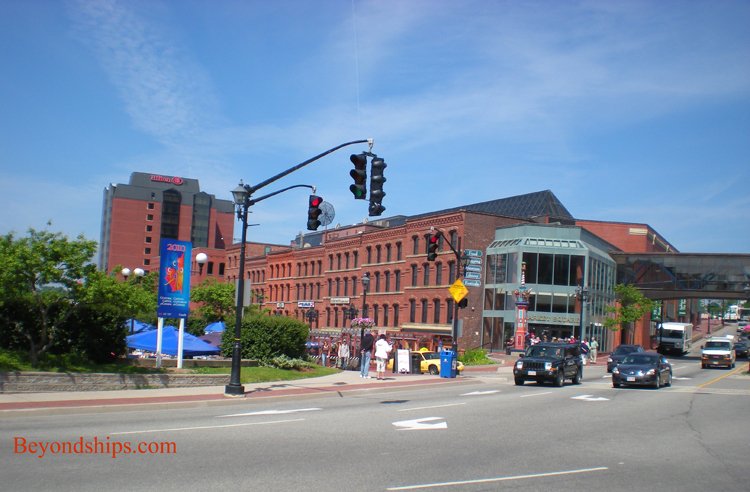 Just beyond Loyalist Plaza is a boardwalk which wraps itself around the northeastern part of the Harbour past the Hilton Hotel and towards the Long Wharf. 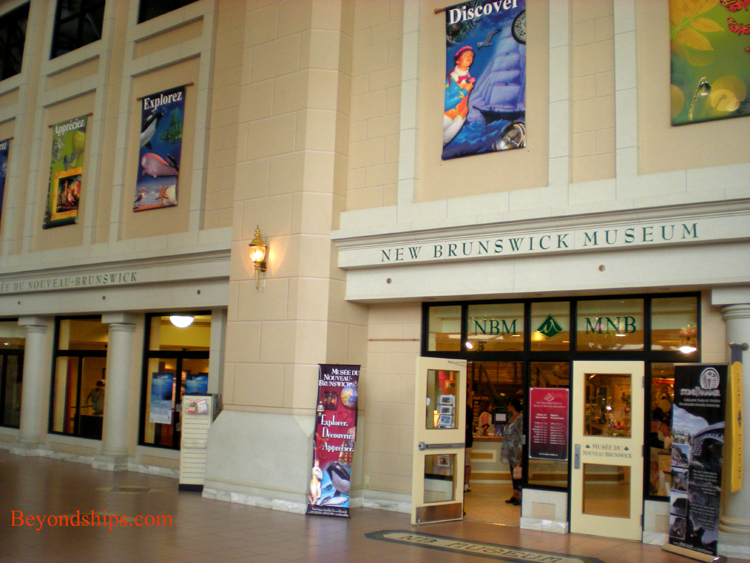 Inside the Market Square building, a modern mall-like structure, which also houses shops and restaurants, is the ﻿﻿New Brunswick Museum﻿﻿ - Canada's oldest public museum. It features a significant collection of British paintings as well as exhibits about whales, tides and other natural wonders.